Recently, the game of artificial lighting, including flash, has started to change. LED lights have become more common, but also TTL and HSS have become available to studio strobes, not just hot shoe flashes anymore. Today, it is Elinchrom's turn to join in this new era. The Elinchrom Skyport celebrates its 10th birthday this year, and over 400,000 units have been sold since its launch. However, it was time for an update. But Elinchrom did not just update the Skyport, they made a whole new version introducing a range of hi-sync products. For those of you that have been sleeping under a rock the past few years, hi-sync let you sync your camera and flash at a high shutter speed that the sync speed of your camera – usually 1/200th or 1/250th. With hi-sync, you can go up to 1/8000th of a second and keep much more power than with HSS. Hi-sync is in other terms what most of us know as HyperSync. However, HyperSync being a registered trademark, Elinchrom had to find another way to call it. 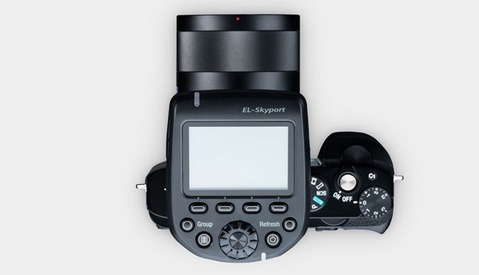 The new Skyport is called EL-Skyport Transmitter Plus HS, but Elinchrom also call it Skyport HS for short. It offers hi-sync capability like aforementioned, but not only. From a form factor point, it is nothing alike its predecessor. It has an LCD display that will show all the lights turned on around it on the same channel, their power and their modeling light is on or off. The screen also allows for quick and easy settings changes. Each light's power can be adjusted individually, by group (four available) or all at once. Just these two updates sound great, don’t they? Well, apparently it was not enough for Elinchrom. They went a step further with their implementation of the Hi-Sync mode and added something called ODS (Over Drive Sync). 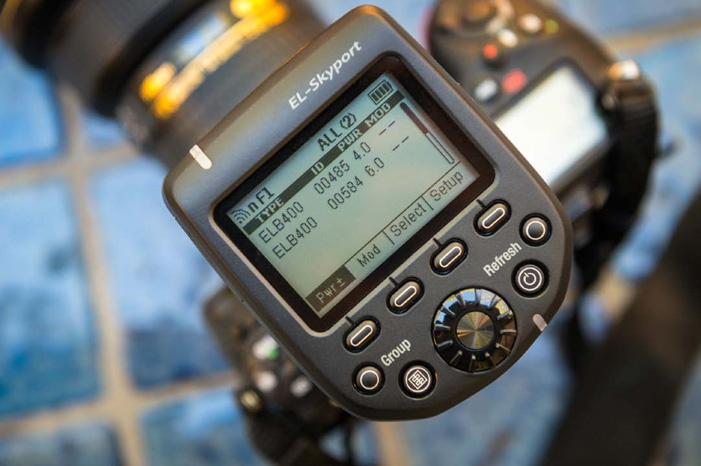 In Elinchrom's words "ODS enables users to fine tune the Skyport HS transmitter’s trigger signal to optimize exposure at high shutter speeds while gaining up to two more f-stops of light". They also thought of event photographers with the 20 frequency channels that the Skyport HS can use, either in Normal or Speed mode. No more triggering someone else’s flash during a sport event for example. Speaking of events and sport photography, the 656 ft range (outdoors, 196ft indoors) might come in handy at times. Finally, two functionalities of the Skyport HS also caught my attention. The first is the possibility of turning on the modeling light only when AF is performed so that you can achieve AF in a low light environment without making your heads heat up. The second one is the possibility of sending a laser pattern when the scene is too dark to focus (much like an SB-910 or EX-600RT would). Each of these can replace or complement the other one, depending on the situation and scene you are shooting. If you are already equipped with Elinchrom gear, the Skyport HS will most likely work. It is compatible with the three previous generations of flash units (including EL- Skyport Transceiver RX module for Style RX, Digital RX, and Ranger RX systems, and the integrated EL-Skyport modules for the BRX, D-Lite RX, ELC Pro HD, and ELB series). The Skyport HS is now available for Canon and Nikon for $249.95. A Sony version will follow soon. Every version of the Skyport HS will also be ready for future firmware updates thanks to its USB port. Also one last note. If you used to get crazy because of the previous Skyport battery format like me, do not worry, the Skyport HS uses two AA batteries. For more details on the compatibility of the new Skyport HS with the current and older Elinchrom strobes, head over to their compatibility list here. As you may or may not know, for the best results possible when using hi-sync mode, you need a flash that has an almost flat output curve. The smaller the peak, the better the hi-sync will work. 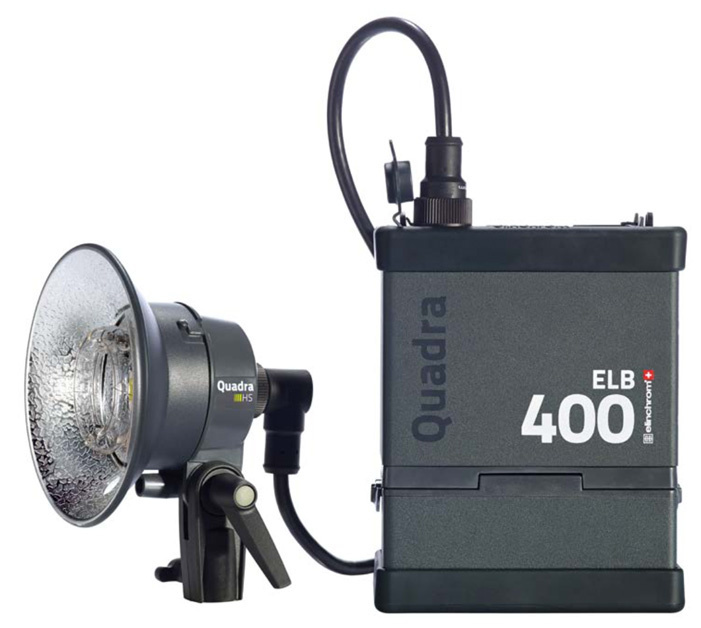 The Quadra Pro head is thus better than the Action head for hi-sync, but Elinchrom came up with the HS head. It has the same specifications as the other heads, but the output curve has a smaller peak, resulting in longer flash duration and easier hi-sync results. This is not the head you want to buy if you do not shoot in hi-sync, as at its shortest duration is 1/1100th of a second. But if you are going to use hi-sync, look no further, this head is made for you. No price has yet been announced, but I was told by Elinchrom that an HS head should be roughly in the same price range as the Pro and Action heads. 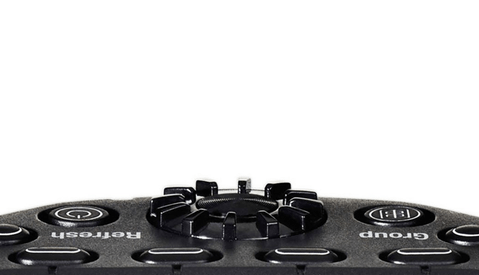 This product announcement is quite exciting. Hi-sync is something that makes flash photography much easier. With the possibility of syncing your camera at up to 1/8000th of a second, shooting with large apertures outside in the bright sun isn’t much of a problem anymore, ND filters can stay home. For sport photographers, that means you can chose the power you need and freeze the action with your shutter instead of doing it with the flash duration. It makes the settings way easier as you do not need to set the power of your flash as its shortest duration recommended power. You can just set up your flash the way you need to light the scene however you like and freeze the action with the shutter. Elinchrom was kind enough to lend me one of their first Skyport HS units along with an HS head to review. Keep an eye on Fstoppers for it. I will come back with more details on the hi-sync mode, what it offers, and if everything works as Elinchrom state. All can say for now is I’m excited and do not regret a single second having sold my B1 for an ELB 400. 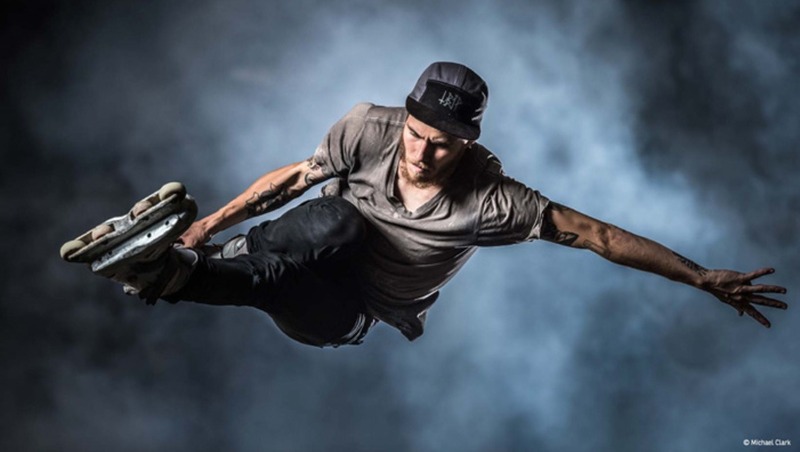 For more information on the new Skyport HS or the Quadra HS head, head over to Elinchrom's website. Phottix and Skyport actually have a partnership, hence the resemblance between the Phottix Laso and the new Skyport HS. The housing as well as some of the basic electronic are similar. I've heard of hypersync and high speed sync. What exactly is "hi-sync"? That thing looks very promising. I think they did everything right here, including the choice for AA batteries! I went for the Pro heads with my ELB400, but if the HS heads make a big difference, I might get two of those as well. great!! I'm looking forward to your review! Thanks Quentin! Also looking forward to this! I currently use the older Ranger Quadra with the S heads and PW Hypersync to shoot skateboarding (I've got the A heads too but couldn't get anything useful out of them). I can already get pretty good results out of this but if this new Skyport could eke out a bit more light at those higher shutters, it would really open up some compositional possibilities during the middle of the day. Great news and nice review. Quick question, I have three BRX500 heads. I understand from the article these are supported, but are there more specifics about how/if they work high shutter speeds? Would love the tech specs if possible. Thanks! You can head over to Elinchrom's website (http://elinchrom.com/) for the spec sheet. Review will come the first week of November. Still have to try a couple of things and retouch a few images to give you my thoughts on the Skyport HS. I tried yesterday with my BRX and it seems to work, just have to figure out a couple of things regarding the hi-sync possibility, but thus far no major issue with it. Let me know if the hi-sync works with your BRX heads! I'm buying this ASAP if it does work. Shooting faster than 1/160 would be a dream. Looks like it will only work reliably up to 1/600s. I got the 500 to work at up to 1/2000 and the 250 up to 1/800 without much problem :) Even 1/600 is a huge step for those shooting with 5DII at 1/160 in my opinion. Guess i'll have to wait to see then. Thing is, because the flash duration changes with the power, the result of hi-sync will vary depending on the power you set your flash at. Thanks Quentin! I went to their site but all the content I found was really basic regarding supporting the BRX heads, so it's the testing you're going to do with HSS that really interests me. It would be great if these support it and all I need is the new transmitter. Thanks again. I will try the new transmitter with my ELC Pro HD Blocks, RX and other Eli gear. just when I found this out today here the post popped up, thanks for in detail post! Unfortunately it will only be able to reliably sync up to 1/600s with my BRX and DLiteOne and my D800. Don't have a unit at hand. Eagerly waiting for your review before i go buy one! So with a couple of BRX heads it´s a no more then a remote with LCD? It also offers a longer range, Hi-Sync up to 1/600s, more channels, easier control with the LCD screen, 2nd curtain sync with Canon cameras (already possible with Nikons with the previous generation of Skyport).